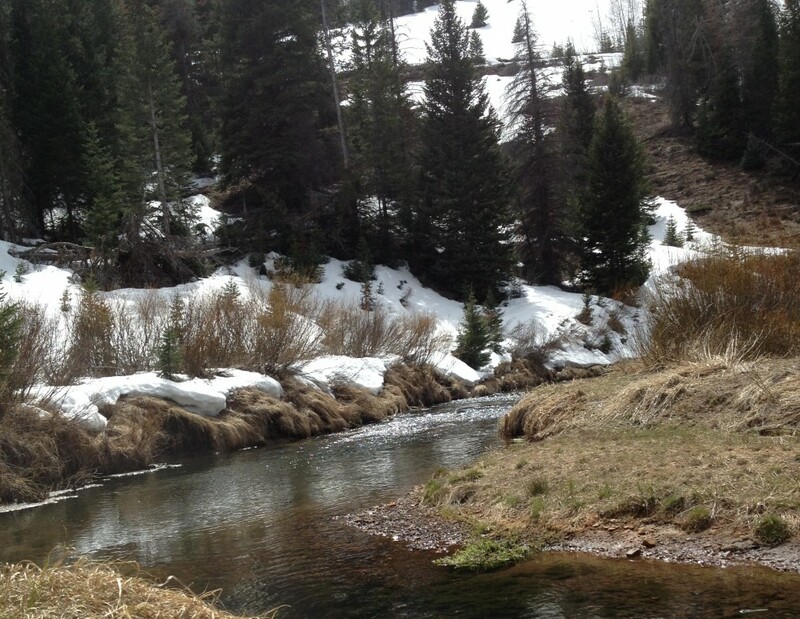 This entry was posted in enviromental, Fly fishing, humor, memoir, outdoor, writing. Bookmark the permalink. One of the most lovely moments of my life was when I was a teenager and they had just — the year before — flooded the Bighorn Reservoir behind Yellowtail Dam. My uncle rented a pontoon and we meandered along the canyon, stopping for lunch and a swim at one point. The water was so deep it was black, but perfectly clear. I swam around the boat watching the fish who were also watching me. I glided along at one point and felt a big trout glide against me. The light came in shafts through late afternoon clouds and the trout swam in and out of color; that’s how it seemed. It was absolute magic. We recently had a big fire up in the Sangre de Cristos and a unique species of cutthroat trout was in danger of being wiped out — thankfully, forest service guys were able to remove several of them and bring them to safety. Thanks, Martha. Fire is devastating for the trout’s fragile environs. It doesn’t take much to wipe out a whole drainage. Trout are magic. Well said. Cutthroats are top of my list of fish to travel for next year. They’ve been calling out to me for a few years now and rumours of their existance have pulled me to certain localish waters in the hopes of catching one (without success). I caught 8 over 18″ this summer. One of my better years. The plus is, I caught them on a creek overlooked by most anglers. I’ve fished the creek for 6 years now, and I’ve never seen another angler there. I do my best to keep it that way. I’d rather fish for cutts than eat when I’m hungry. 🙂 I’d step over a five pound brown to cast to a 10″ cutt. Rob, this is the first writing I’ve ever read that made me wish I had taken up fishing years ago. You often make me yearn to get out in the mountains to hike and behold, but this is the first time I’ve wanted to catch a fish so I could marvel at the miracle it is before releasing it. I can’t imagine anyone who fishes for reasons other than drinking beer with manly men who would not be enraptured by your words. The humor is also grand: “besides, any attempt to quantify levels of intelligence by fishermen must be viewed as presumptuous” is surrounded by other laugh-worthy gems. Well done, my friend. I know this one will be published. Thanks, Janet. When I told a friend that I was writing a description of cutthroat trout, he said, “Good luck with that.” I’ve been tinkering with it for three years. I’m glad it touched you. I haven’t submitted this one yet. I’ll let you know how it’s received. Catching and holding these wonderful creatures is humbling–like looking at God with his pants down. You just created a simile I’ll never, ever forget, Rob. It’s quite a visual.